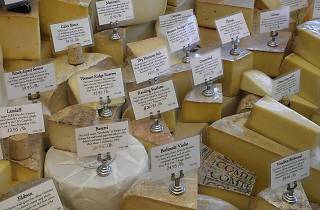 This family-owned wine and cheese shop has been in business since 1976. 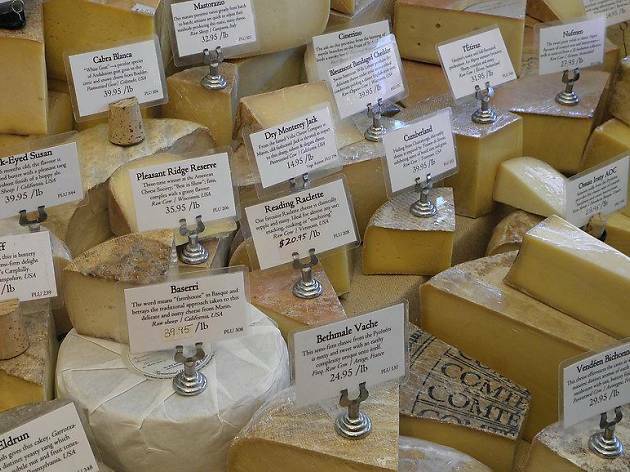 The cases include artisan local cheeses, rare imports, and Old World classics. You’ll find local favorites like Mt. Tam, San Andreas, Nicasio Square, Humboldt Fog, Point Reyes Bay Blue and Highway 1, as well as fresh mozzarella and tallegio from Italy, Manchego and Valdeon blue from Spain, and chèvre and St. Agur blue from France. The spot generously piles its cheeses on sandwiches, including combinations like goat cheese, grilled basaltic onions, grilled artichoke hearts and arugula.